Those of you who watch my haul videos will know I love body scrubs! A bit too much to be honest, I currently have 6 stacked up in my bathroom that I'm trying to work my way through. 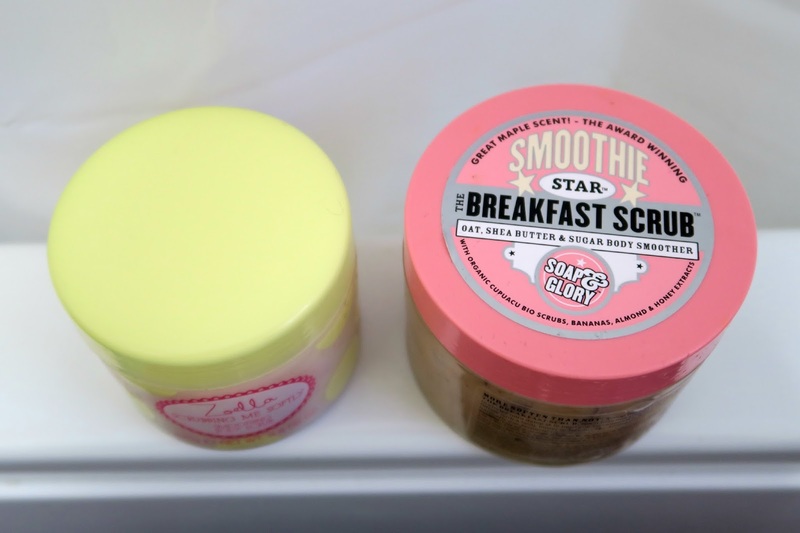 When I found out Zoella had released one in her beauty line I was interested but it wasn't until someone claimed it to be better then my beloved Soap & Glory Breakfast Scrub that I had to try it! To be completely honest, there is no comparison here. I've always loved Soap & Glory packaging as they really do consider every element of the design and make the product look attractive from all angles. The branding is perfect, the design is detailed and you know even at a glance that it's a Soap & Glory product. 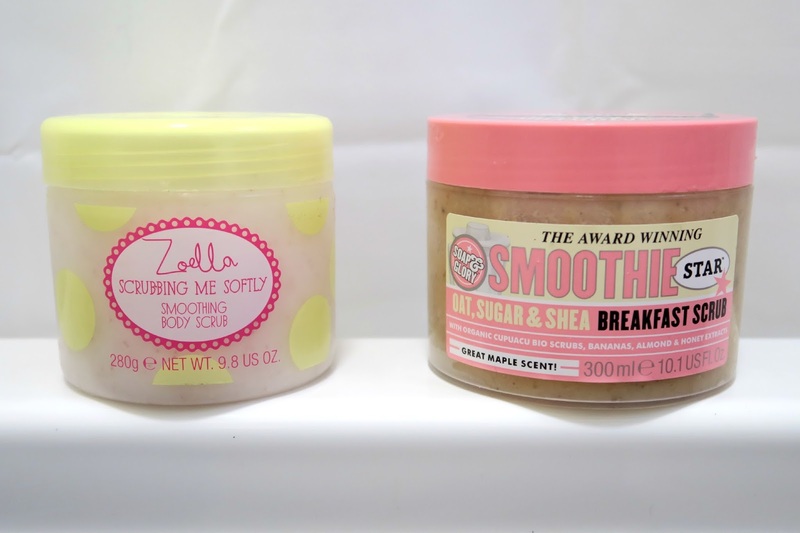 The Zoella Scrubbing me softly design is quite basic and if you took the name Zoella off I wouldnt have looked twice. It reminds me of simple supermarket own brand packaging which is fine, there's nothing wrong with that, but supermarket own brand products tend to sell for far cheaper. I just wanted more from the design. It's like they knew they didn't have to try hard to stand out, so they didn't. Also it takes a lot of effort to get the lid to sit right on mine, it keeps going on slanted. It's either a manufacturing error or I just have a faulty one. Breakfast Scrub smells like a dream. A fulfilling luxurious scent that is honestly one of my favourite things about this product. From the moment you unscrew the lid the scent fills the surrounding area and the product itself feels lush to the touch. It's a thick formula that actually resembles what the key ingredients would look like if I mashed them up in a pot. It's almost edible to be honest! If I didn't know better I'd probably go in with a spoon. Scrubbing Me Softly is infused with the signature scent of the second Zoella range called Tutti Fruity. 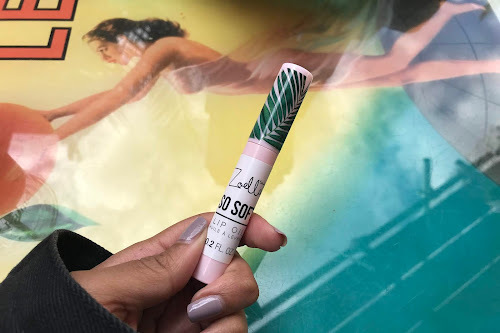 I was really excited to give this a go because people have been absolutely raving about how great thier product scents are. However the scent was underwhelming and almost left me feeling disappointed, it's definitely been hyped up to the max. The actual fragrance is really nice! 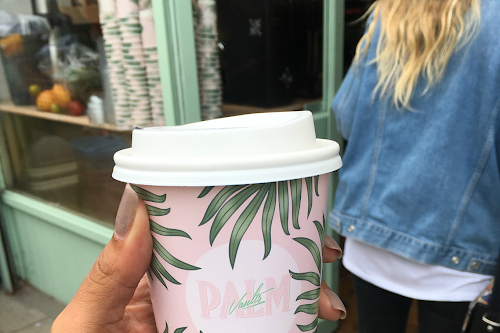 It's light and fresh without being too sweet or too floral. I feel like it would fit right in as a Victorias Secret body spray. It's the strength that's the problem, it's just not that strong. I asked my collegues and other half what they thought of the smell too without showing them the brand and they agreed. The fragrance is nice, but it's too weak to really enjoy without stuffing your nose in the pot. The product itself feels ok. It reminds me of Vaseline that's been left in the bathroom on a cold day and gone a tad hard. The pink exfoliating beads running through it are a nice touch for a pop of colour and it remains intact when you scoop it up and apply it which is also helpful. Sometimes my Breakfast Scrub breaks apart and I end up with more in the bath then on my actual skin. I scooped up a generous amount of Scrubbing Me Softly and applied it in circular motions to my skin. When applying you can smell the product lightly in the air and its a lovely fresh scent. I actually wouldn't mind this as a cream or shower gel if the scent of those products is stronger. The product was more exfoliating then I expected it to be without being too harsh on the skin which is good. Shortly after applying the sugar granules which exfoliate the skin dissolved into what I can only describe as a light moisturizing balm. It felt really nice on the skin so I continued to massage it in for a while before washing it off. 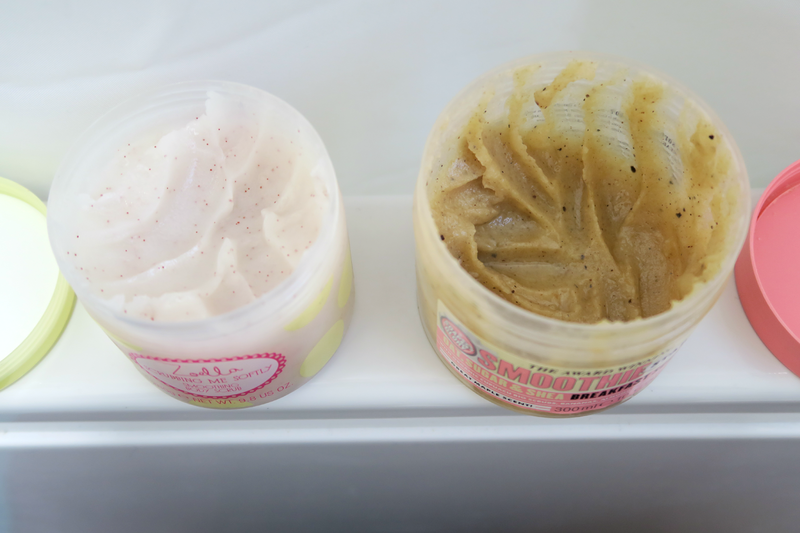 During the balm phase the pink exfoliating beads were still on my skin but there was far too few of them to actually do any exfoliating. After showering my skin felt soft and I could lightly smell the Tutti Fruity scent on me which I loved. I found myself smelling my arms for a good 10 minutes after and was surprised by the fact that my skin did look lightly moisturized. If this scent comes as a body spritz I wouldn't be opposed to picking it up to keep in my gym bag as it's really growing on me! At first I thought I might get away with not moisturizing afterwards but about half an hour later I started to notice dry patches all over so used a light moisturizer on top. With the Soap & Glory breakfast scrub there is no need for me to moisturize after as it leaves me feeling like I've used a light oil afterwards. 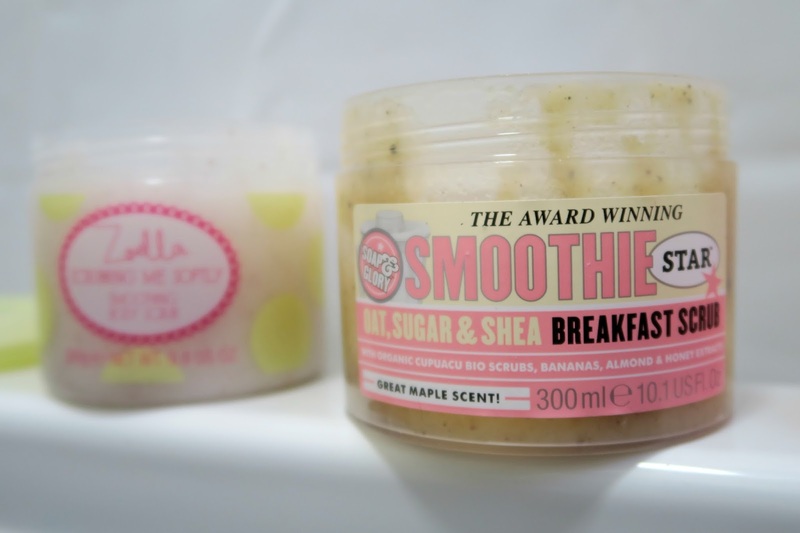 The Soap & Glory sugar granules also don't dissolve in the way the Zoella ones do. However I do quite like the whole dissolving sugar thing! It was a nice touch, I'm not actually sure if it was intentional though. After all it is meant to be an exfoliator, not a moisturizing balm. I think it's clear which one I prefer! It's obviously the Soap & Glory Breakfast Scrub. Honestly I just think it's head and shoulders above the Zoella Scrubbing Me Softly. Considering the price is so similar I expected it to be a closer fight but Scrubbing Me Softly just cant compete. I can see why people like it though, it's really not that bad. The light fresh scent kept me coming back for more and has even tempted me to try other products from the range. Hopefully the other products have a stronger scent to them because there is no denying the body scrub is lacking in the scent strength department. The actual exfoliation wasn't bad either. I quite enjoyed the dissolving of the sugar but it would have been nice if the product could have stayed rougher for longer so that there could be more exfoliation time. Adding some more moisturizer to the product wouldn't hurt either. It's like it was on it's way to being an awesome product but they gave up half way through and thought meh, this is good enough! Which in all honesty is probably what happened. There wasn't really a deep need for the brand to try that hard when they have such a big name behind them for promotion and I think that shows in this product which is disappointing but also understandable. It's just a bit silly to think no one would pick up on that though. 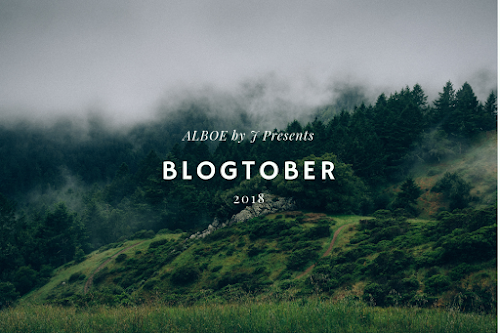 I try new products all the time because of my blog and youtube so obviously people like me are going to want to try new youtuber and blogger products. We are also well equipped with the knowledge of knowing other similar products and what to expect for our money, so we'll quickly notice when things aren't up to par. However the Zoella brand is clearly aimed at quite young consumers. The type who adore pretty bath and moisturizer sets from the likes of Primark, H&M and Claires Accessories. The Zoella brand would fit right in with those competitors with the only difference being that the Zoella brand will be the priciest of the lot. So overall, it's not bad, but in my opinion it's no where near as good as Breakfast Scrub. If they worked on the formulation some more it could be great but it's not quite there yet. However the brands young target audience will be happy with the product so mission accomplished I guess? Personally I wont be buying it again but I will be popping into superdrug to see if a spritz of the scent is available.